(Seychelles News Agency) - Seychelles’ Ministry of Health and the city of Umea in Sweden have signed a Memorandum of Understanding aimed at developing a comprehensive geriatric plan with a focus on dementia. 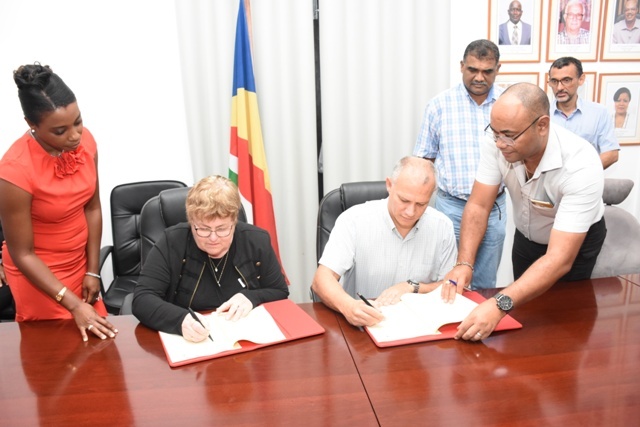 The agreement was signed on Saturday at the Ministry’s headquarters by the health minister, Jean-Paul Adam, and the chairman of Umea City Elderly Care, Carin Nilsson. Speaking to SNA, Adam said, “Sweden is very advanced in elderly care and the agreement now gives the ministry a framework for capacity-building”. According to the National Bureau of Statistics, in June 2017 the island nation had an estimated population of 95,235, among which 7,179 persons were above 65 years of age, which represents 7.64 percent. The Ministry of Health estimates that between 500 and 1,000 people suffer from dementia and Alzheimer and this is based on the prevalence of the disease in Sub-Saharan African countries. Under the agreement, professionals from Sweden will travel to Seychelles, an archipelago in the western Indian Ocean, later this year to conduct training for health care assistants and other professionals. Seychellois nurses will also have the opportunity to follow long-term specialist training in geriatric care through a partnership with Umea University Hospital in Sweden. The representatives of the city of Umea, region of Västerbotten and University of Umea are on a six-day visit to Seychelles, at the invitation of the Ministry of Health. It follows a similar visit by a Seychelles’ health delegation to Sweden last September to look at the country’s best practices in elderly care. Sweden is known for its universal and comprehensive social and health care programmes. During their trip, the Swedish delegation visited the North East Point Hospital which is home to elderly patients and also conducted a series of lectures. 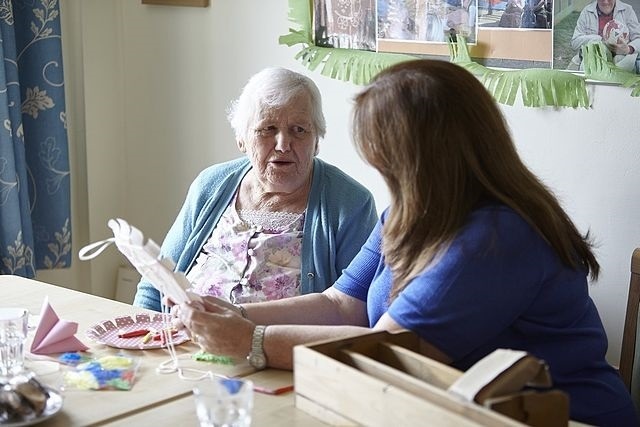 “We have noticed that the caregivers are not specialised in dementia. We will invite them to Sweden to see how we work and also develop a good education plan for the caregivers”, says Carin Nilsson, chairman of Umea City Elderly Care. Under the agreement, the two sides will also look at opportunities for research in geriatric care, Alzheimer and dementia in Seychelles. The Memorandum of Understanding is open-ended, and programmes and activities will be approved on a yearly basis. The delegation’s visit to Seychelles was facilitated by the Ministry of Health, the Health Care Agency and the Seychelles Alzheimer’s Foundation.